Whether you love fall or dread it, you have to admit it’s a great time for a nice hot bowl of soup. 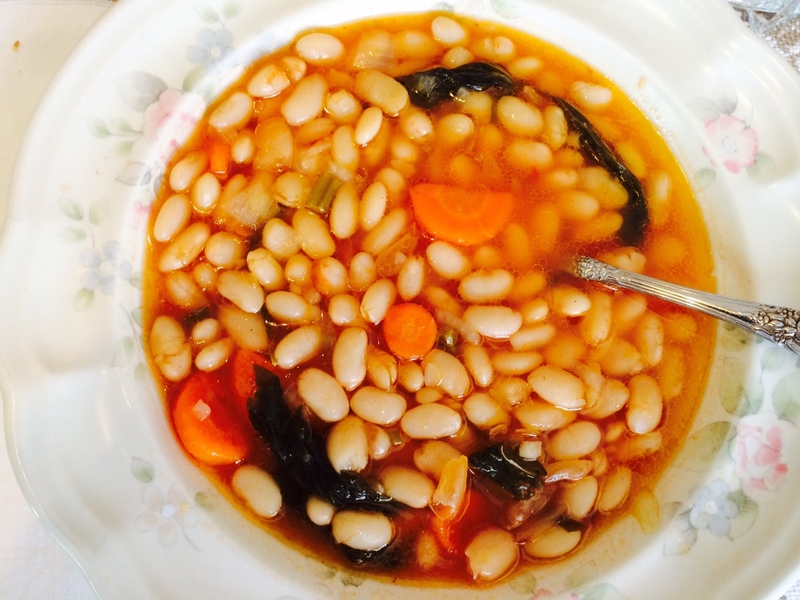 Fasolada is a delicious white bean soup that warms your bones and fills your belly. 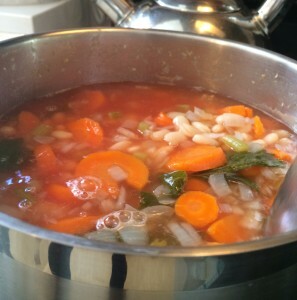 It also happens to be vegan, so you can pat yourself on the back for making healthy choices while you enjoy this soup. Careful, don’t hurt yourself. 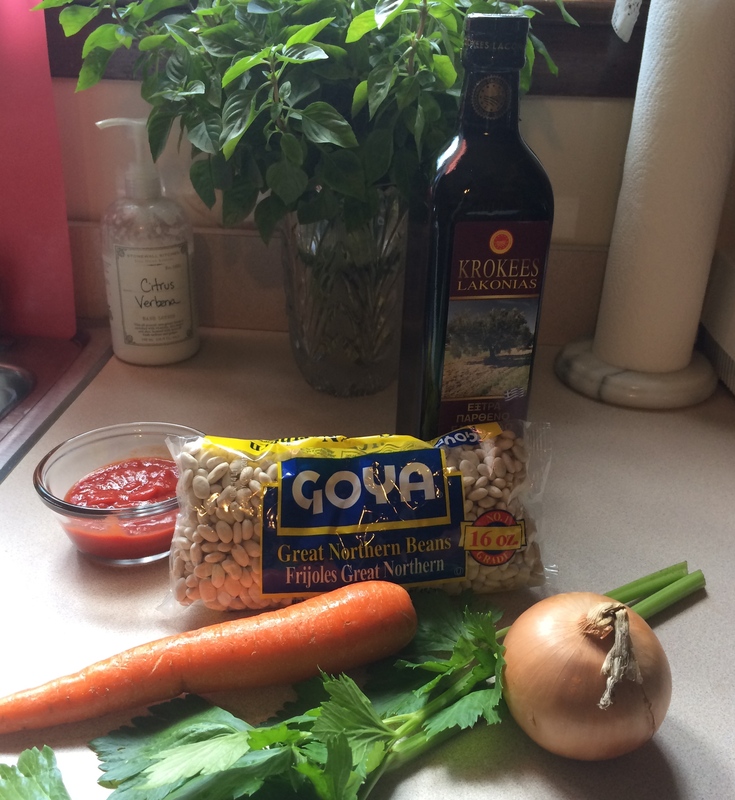 To make Fasolada you will need a bag of Great Northern Beans, carrot, celery, onion, tomato paste or sauce, and olive oil. 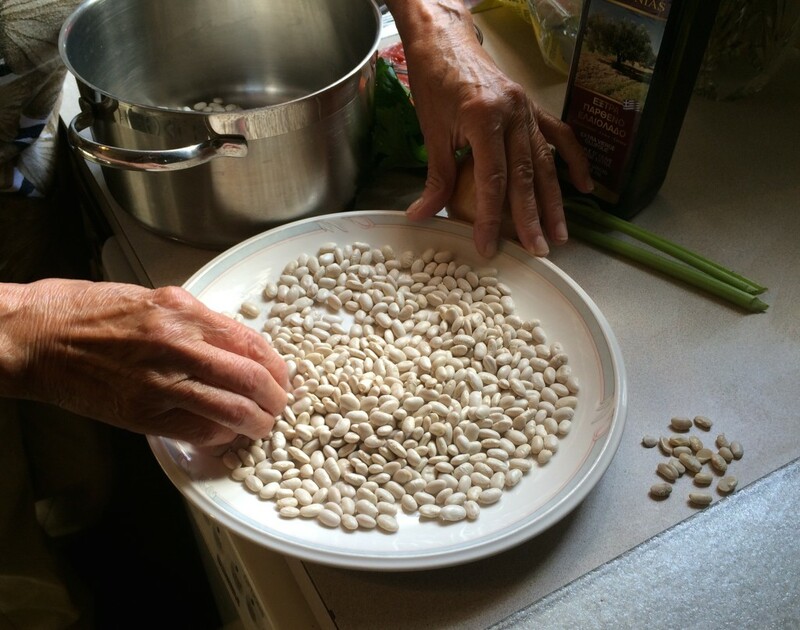 Pick through the beans and remove any small pebbles or misshapen/broken beans. Meanwhile, heat 6-8 cups of water in a kettle or pot. 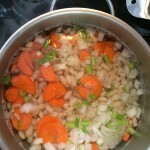 Add beans and hot water to a medium sized pot. Boil for 2 minutes uncovered and then cover and set aside for one hour. While beans are soaking, separate celery leaves from stalks. 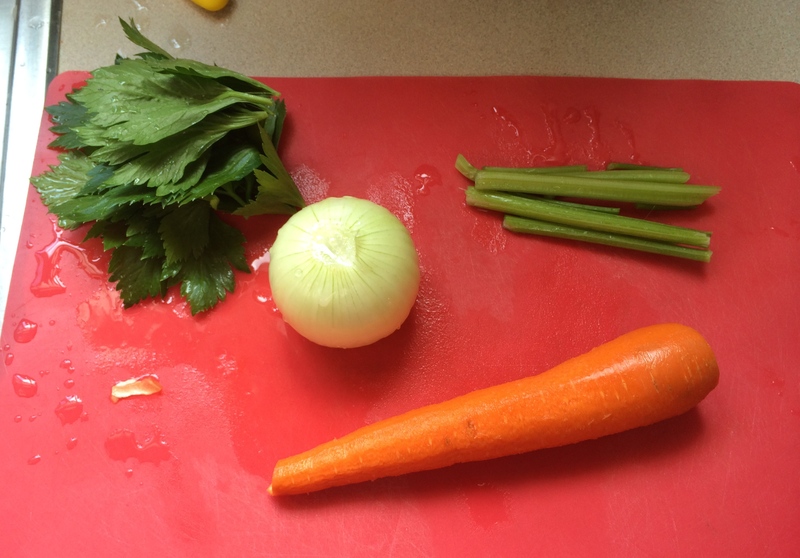 Chop celery stalks, carrot and onion. Leave celery leaves whole. 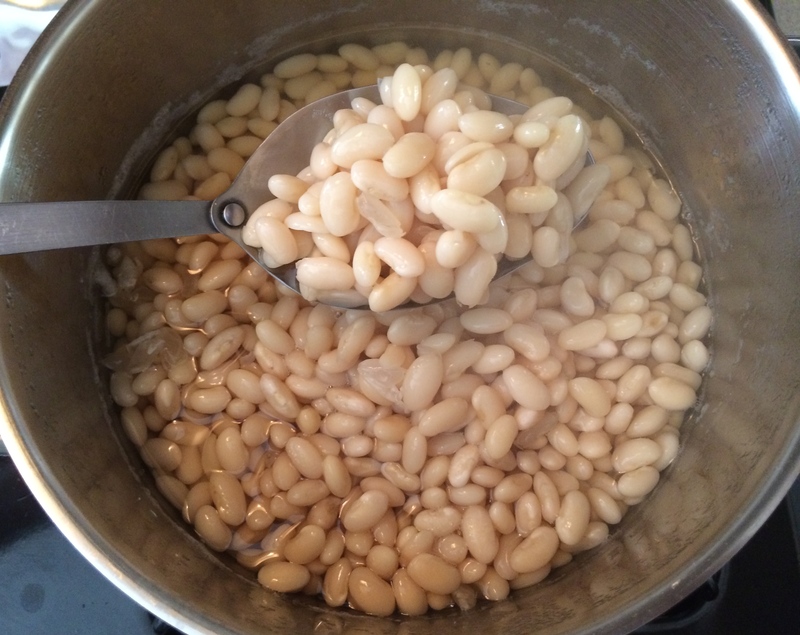 After beans have soaked for an hour, they will be soft on the outside but still crunchy on the inside. 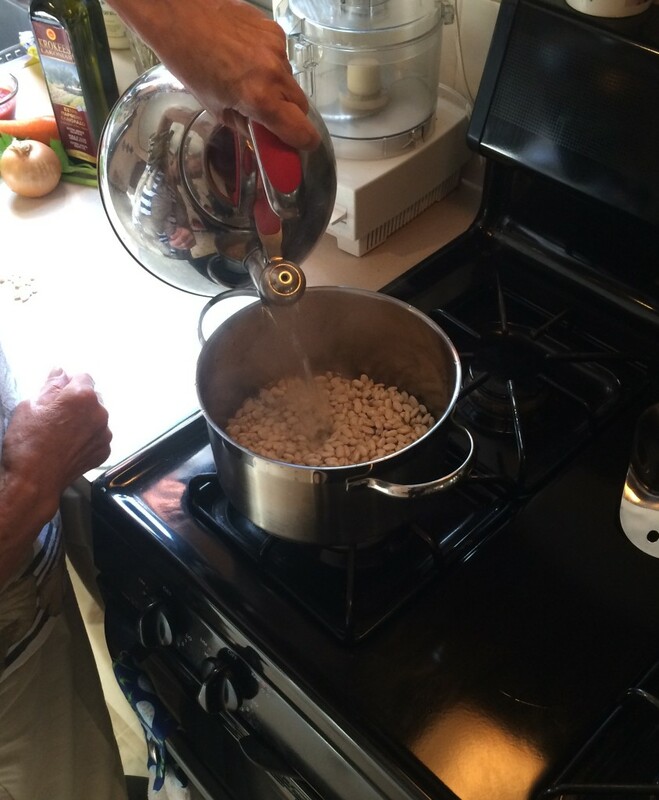 Drain the beans and return them to the pot. 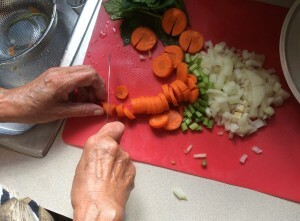 Add carrots, celery stalks and onion, then add about 5 cups of hot water. The water level should be about 1 inch above the beans. 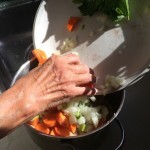 Bring to a boil, then cover and reduce heat to allow the soup to simmer. 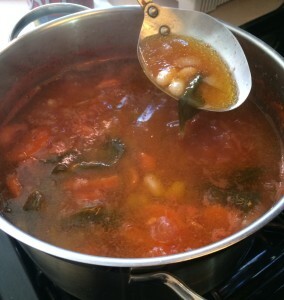 After about 10 minutes of simmering add the celery leaves, cover the pot and continue cooking. Mom leaves the celery leaves whole so that picky eaters can easily remove the wilted greens. This may be a habit she picked up after a lot of whining at our dinner table when we were kids. 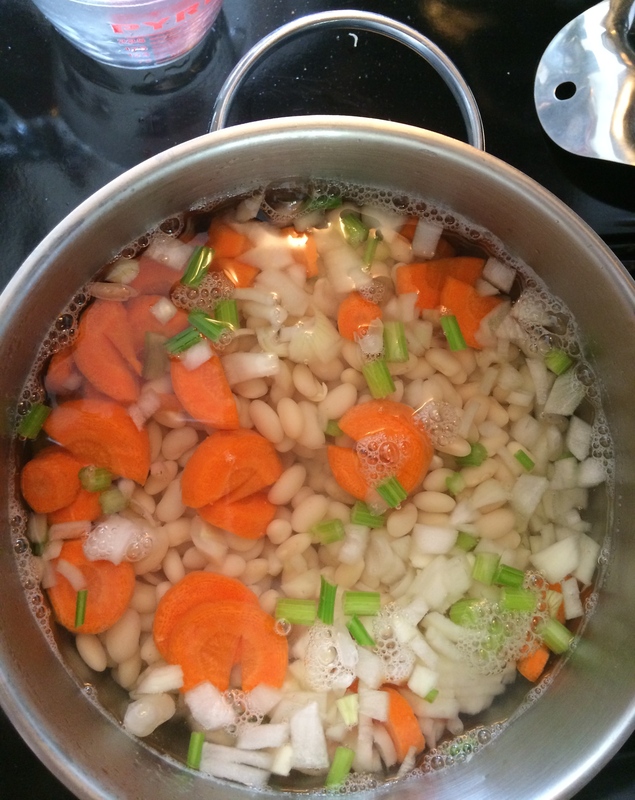 After another 20 minutes, the beans should be almost cooked through. 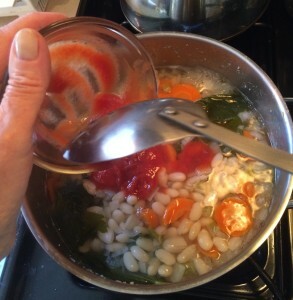 Add the tomato sauce or paste. If your soup needs more water, like ours did, add more hot water now. The picture on the left is before we added the additional water. The picture on the right is after. 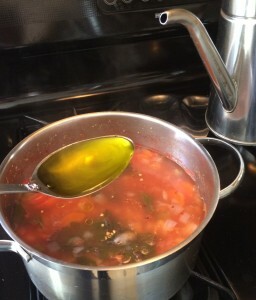 Simmer for another 15 minutes and add olive oil, salt and crushed red pepper flakes. 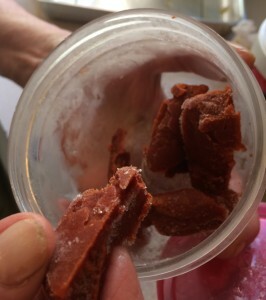 At this point, Mom declared that the soup looked too pale and added a small chunk (about 1/2 T) of frozen tomato paste. Simmer for about 10 minutes more. Total cooking time is about 1 hour (not including the 1 hour of soaking). Season to taste. 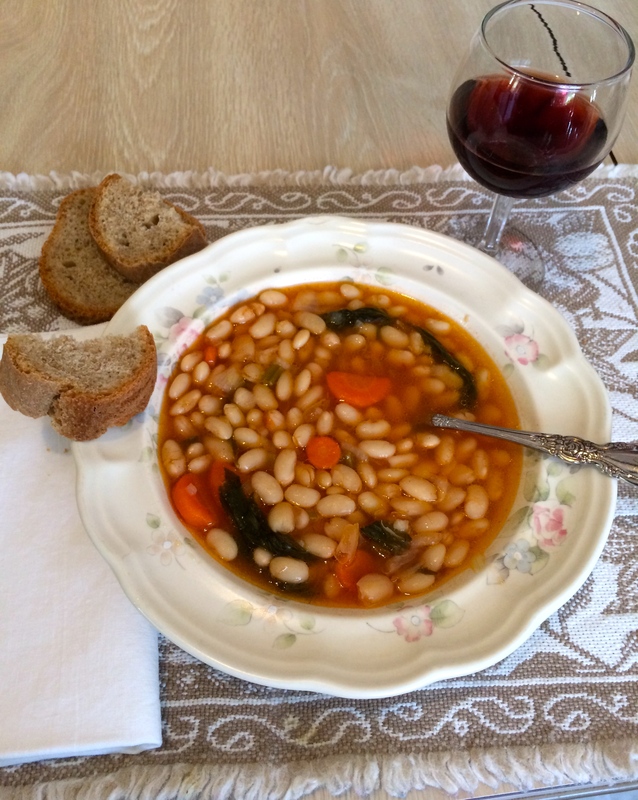 Ladle into large soup bowls and serve with crusty bread and red wine. Pick through beans and remove any small pebbles, misshapen or broken beans. Rinse beans and drain. Meanwhile, heat up 6-8 cups of water in a kettle or pot. Add beans and hot water to a medium sized pot. Boil for 2 minutes uncovered and then cover and set aside for one hour. 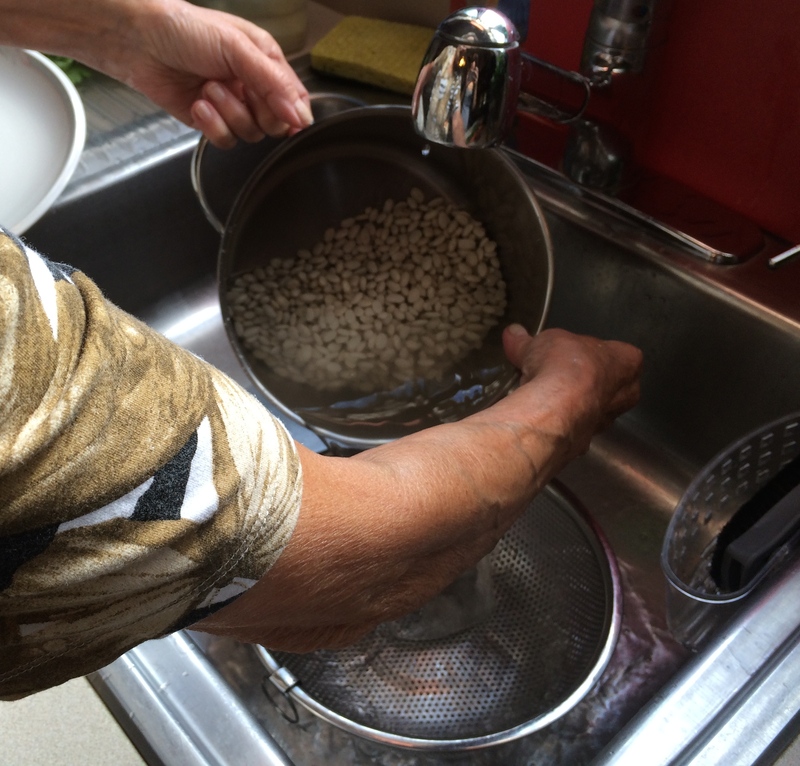 Heat a kettle or large pot of water and keep it on standby. 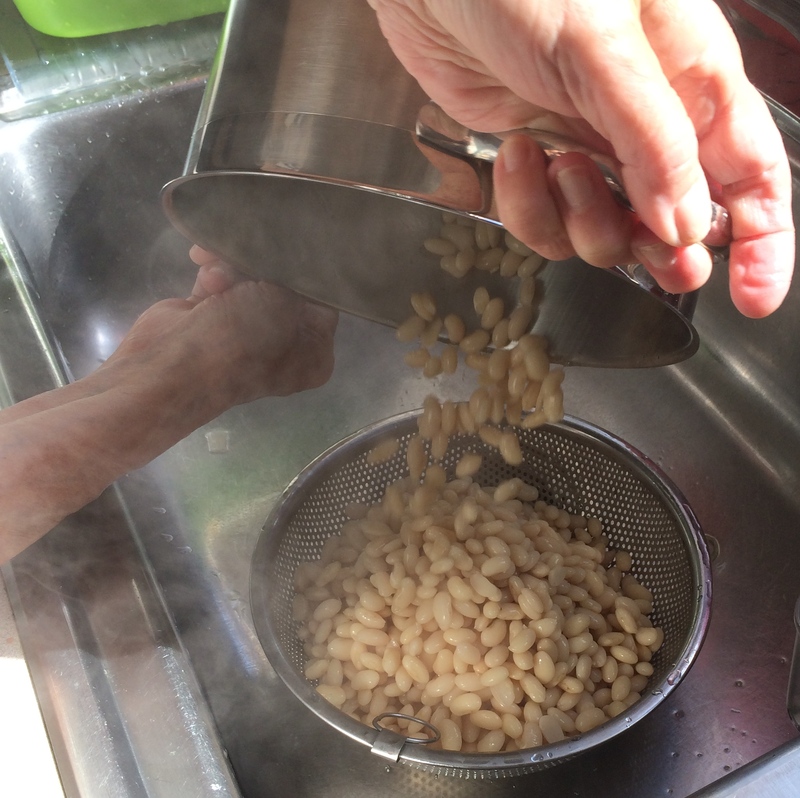 Drain beans and return them to the pot. Add carrots, celery stalks and onion. Add about 5 cups of hot water. 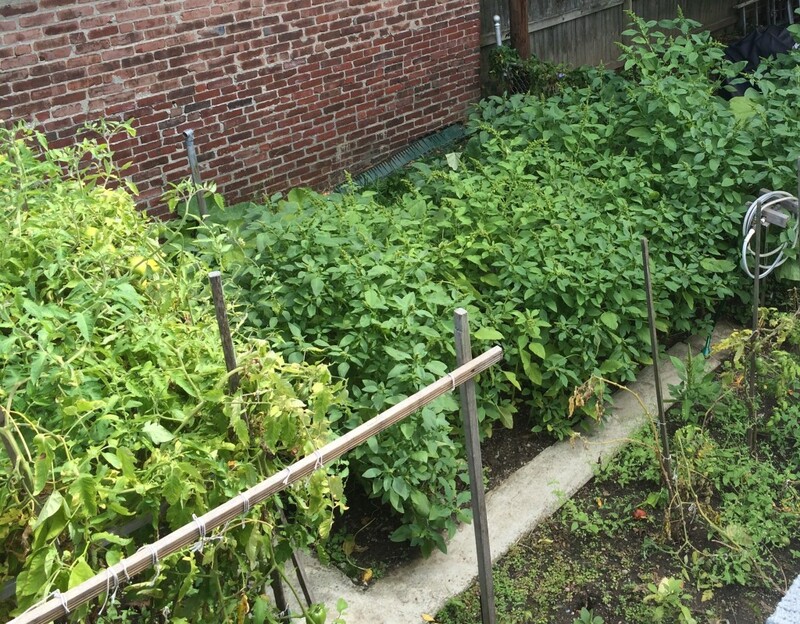 The water level should be about 1 inch above the beans. 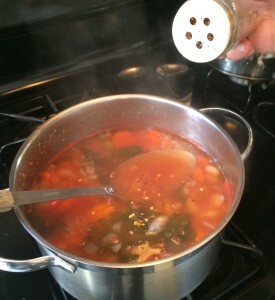 Bring to a boil and then cover and reduce the heat to allow soup to simmer. After about 10 minutes of simmering add the celery leaves. 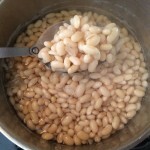 After an additional 20 minutes, the beans should be almost cooked through. Add the tomato sauce or paste. If needed add more hot water. Simmer for about 10 minutes. Season to taste. 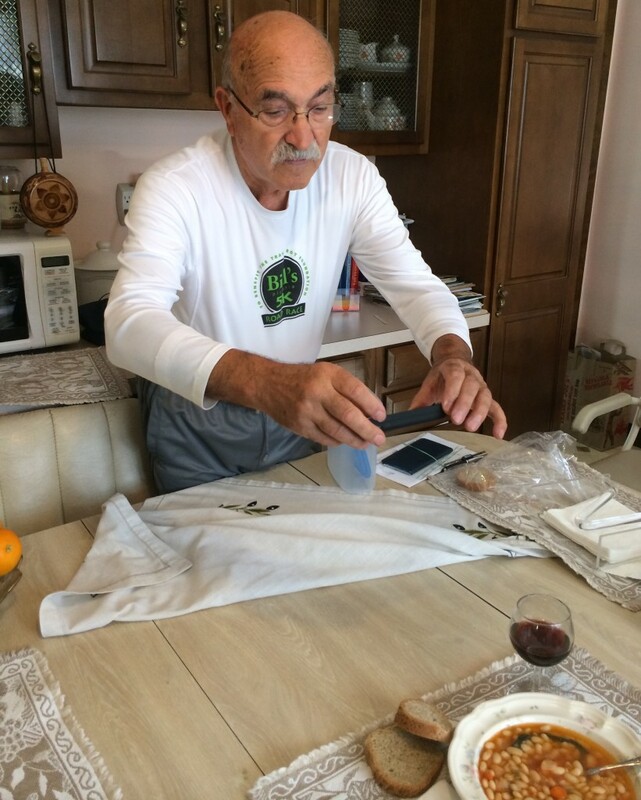 Here is a bonus photo of our dad getting in on the blogging action. He is the cutest. 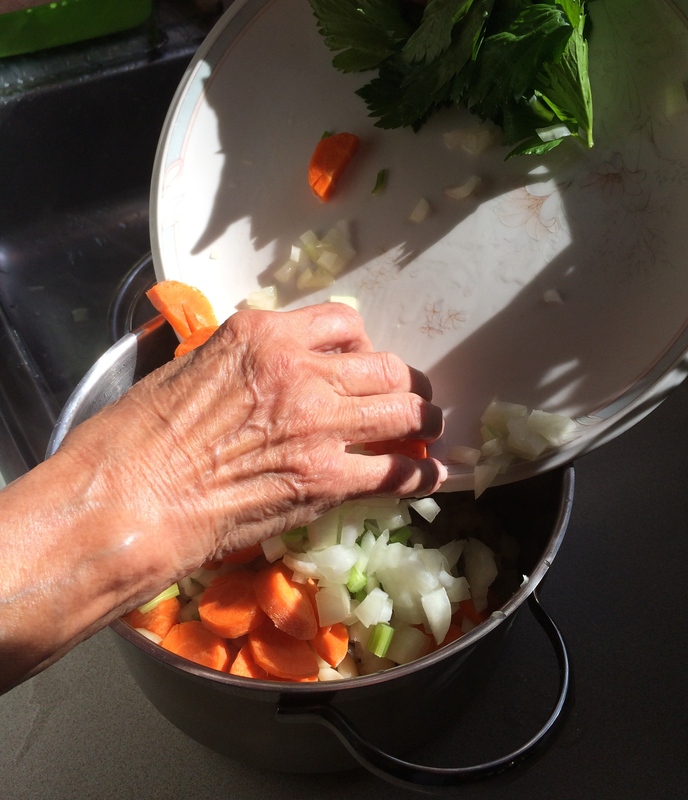 This entry was posted in Main Course, Soup, Vegetarian on October 9, 2014 by cousins. The photographer did a superb job!!! But the tastefulness is due to the chef and Niko’s fresh selino!!!! Wish I had a bowl!!! !